I had some details about this army on the static page for my conversions but I finally got around to photographing the whole army! This is basically two boxes of Revell’s Aztecs. 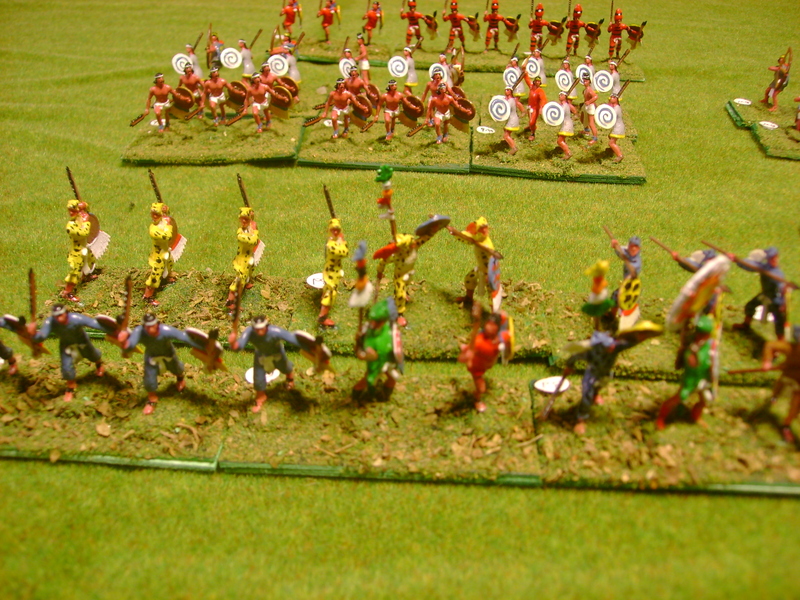 The bulk of the army is warbands (5Wb in DBA; Hordes or Warbands in HOTT), and behind them is a line of warrior priests (Auxilia, 3Aux in DBA or Warbands in HOTT). 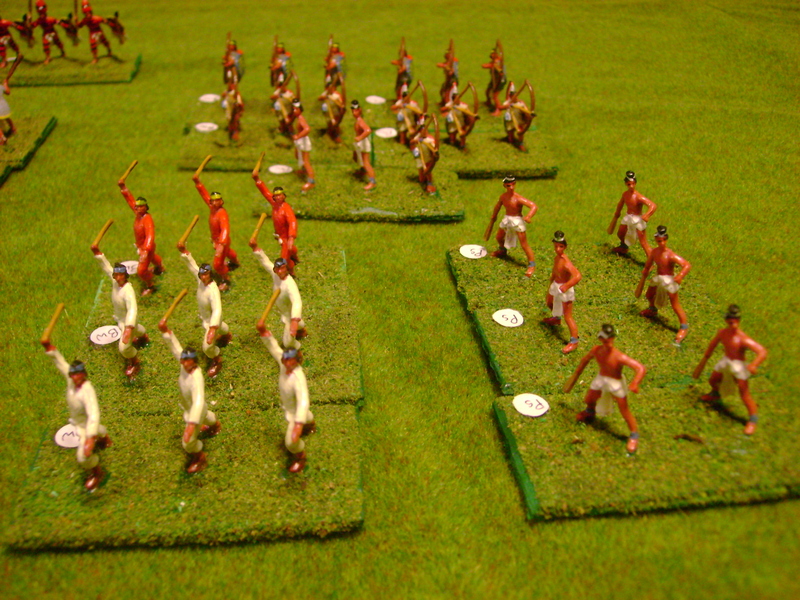 Another major component of Mesoamerican armies are slingers and archers. 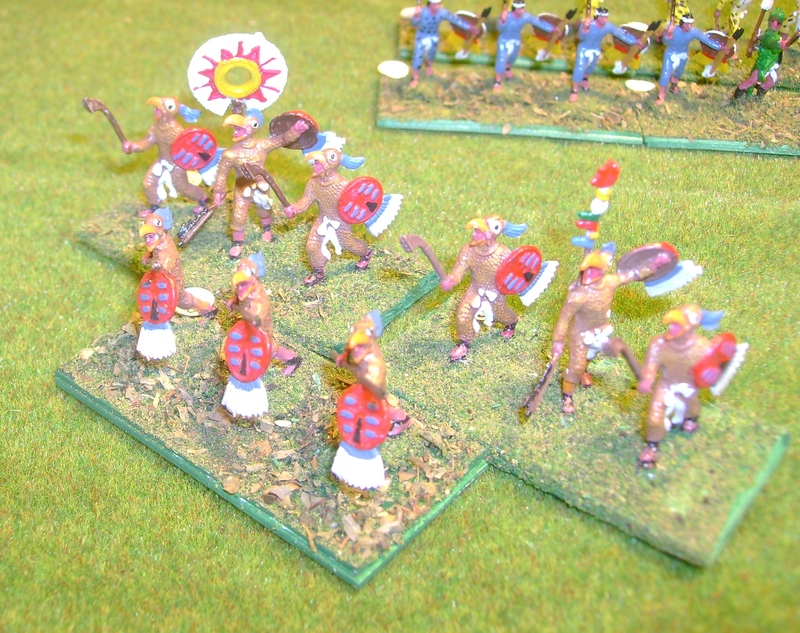 The Spanish had a lot of respect fo the Aztec’s slingers. A sling stone could kill an armored man and was practically invisible in flight. 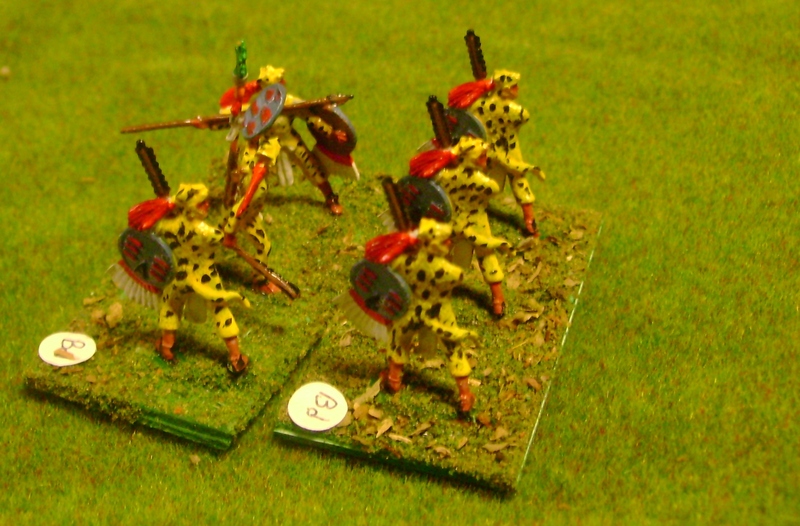 DBA treats these as Bows (3Bw) and Psiloi (2Ps); in HOTT they could be Hordes or Shooters. 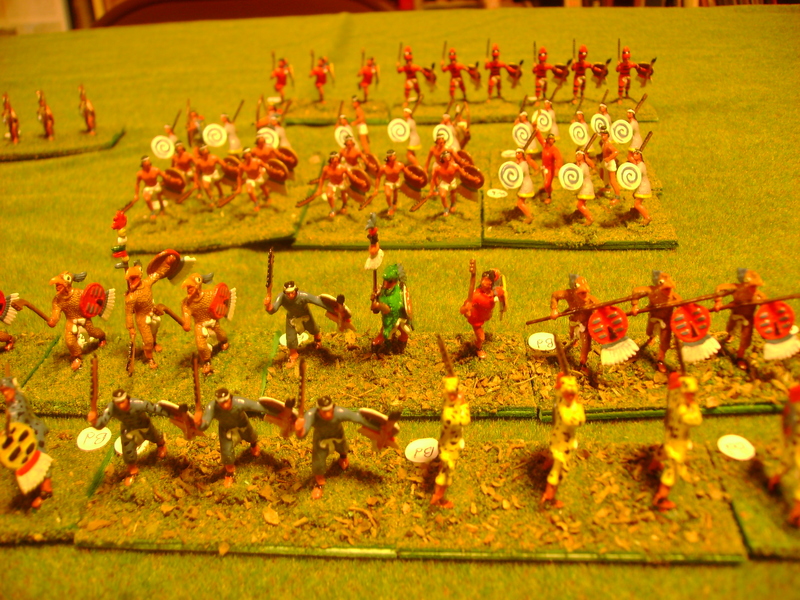 And lastly, the whole army arrayed. 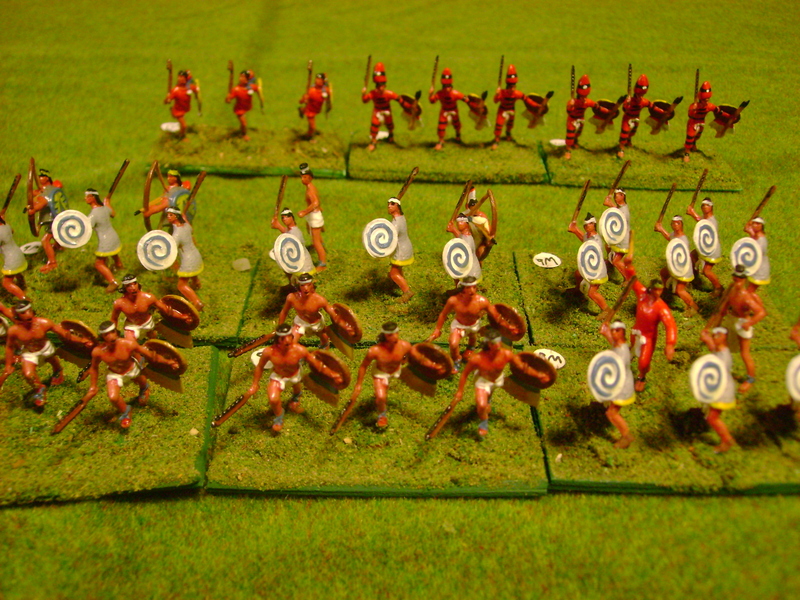 For DBA, I only need twelve stands for a given army but this colleciton allows me to cover almost all of the armies of Mexico (Aztec, Totlec, etc.) 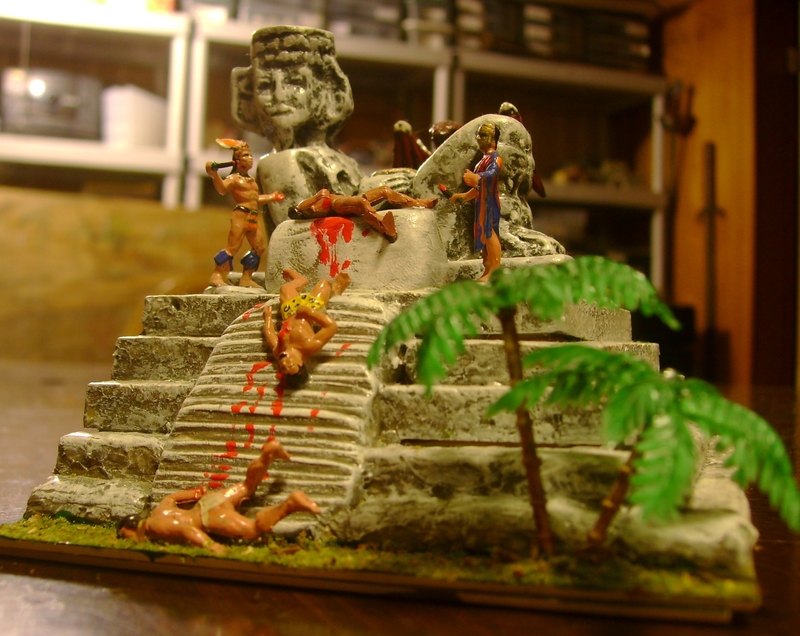 I still need to paint my Mayans and Incas. 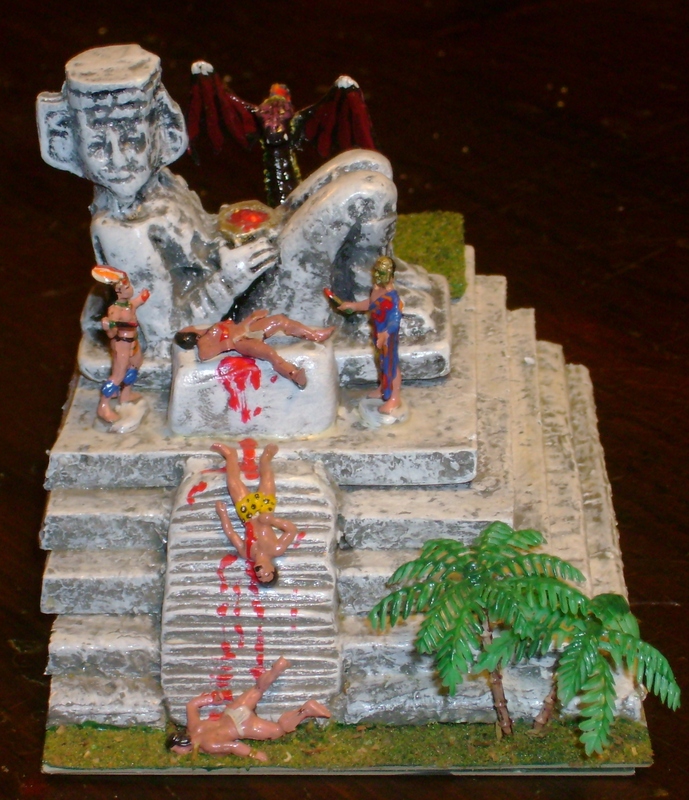 And here is a shot of the Aztec’s camp (in DBA) or strongholf (in HOTT). A Grenadier coutal figure peeks over the altar. The altar is a plaster souvenir from Cancun (I was there in 2005 for Hurricane Wilma with my 5-month old, lots of great memories!) The priests are actually a Zulu and an ancient Greek civilian. Good heavens! They sacrificed Tarzan! R. I. P. Tarzan ….